It’s December! The first thing that comes to my mind when it comes to December is Christmas. We all have known the excitement of this time of the year. Accompanied by holidays, picnics, and the spirit of Christmas, December is the most awaited time of the year for all the children as well as some ‘old soul’ adults like me! Christmas brings in a lot of excitement and one of the mandatory Christmas rituals is that of visiting the Church. Christian or non-Christian a most of India happily visits the Church every year during Christmas. Speaking of Church, there are plenty of splendid Churches in India that one must visit. Let us talk about that today. St Pauls’ Cathedral was found in the year 1847. Situated in Kolkata, West Bengal. A cathedral is larger than a Church and is ruled by a Bishop. It is also the home to a Bishop. It is a CNI of Anglican background. It is renowned for its Gothic architecture, its 247 feet in length and 81 feet in width with stained glass windows. The inner ambience is peaceful and calm. It is one of the major tourist attractions of Kolkata. A basilica is essentially a Roman Church or Cathedral. This particular basilica is a classic-basilica style Church situated in Velankanni, Nagapattinam, Tamil Nadu. A famous Marian pilgrim center in the world, Basilica of Our Lady of Good Health offers its pilgrims and their families rooms to stay(as long as available). The architecture is wonderful and well maintained with a peaceful atmosphere. The mass starts at 7:00 am in the morning. Basilica of Bom Jesus is a World Heritage site, certified by UNESCO and is constructed in Baroque architecture. It is situated in Bainguinim, Goa. This Basilica becomes even more important because it holds St. Francis Xavier’s mortal remains. It was found in the year 1605. The term ‘Bom Jesus’ is the name of Ecce Home in the Portuguese colonization. It is considered to be one of the best examples of Baroque architecture in India. It is situated in Panjim, Goa. 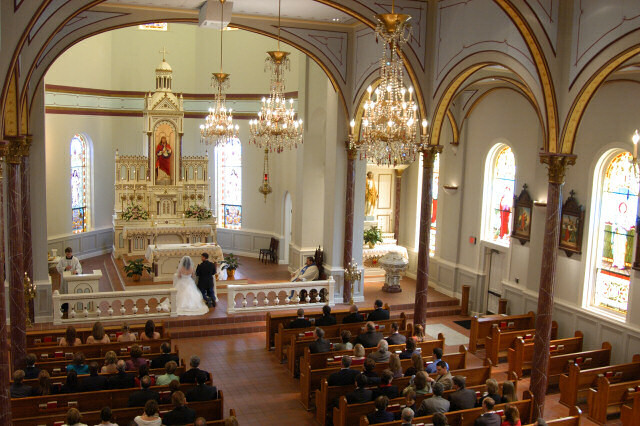 Constructed in Old Baroque style Catholic Church, Immaculate Conception Church was established in the year 1609. They conduct mass every day in languages like English, Konkani and Portuguese. The Church accommodates the antique bell which was taken away from the Church of Our Lady of Grace of the once famous city of Old Goa. Even though it was first made to serve the Portuguese sailors, now it is a pilgrimage for people around the world. 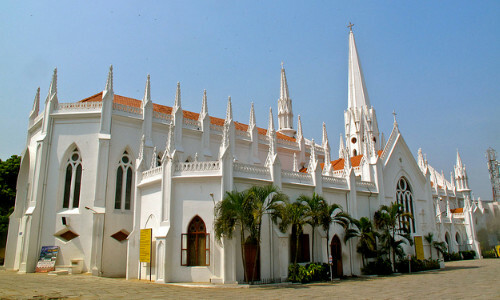 It is a Roman Catholic minor basilica situated in Chennai, Tamil Nadu. San Thome Basilica was constructed by Portuguese explorers. It is built over the tomb of Saint Thomas. It heights 155 feet and lengths 210 feet. It dates back to 1523 and is styled in Gothic revival architecture and is beautiful work of art. These are not all! There are countless other Churches in India that are equally beautiful and peaceful. But it is not the outer beauty that matters after all; it is the spirit of unitedness and togetherness that it surrounds us with. Irrespective of fame, size or style, all the Churches elevate us the same way the same.